The Johari window is a tool from the world of cognitive psychology to ‘help people better understand their interpersonal communication and relationships’. I find it quite a useful tool in any sort of group situation. 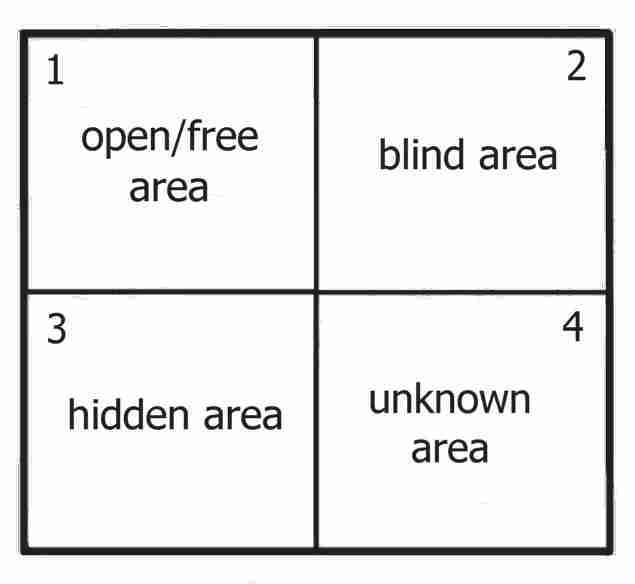 The Johari window is a two-by-two matrix that outlines qualities that you believe you either have or don’t; and that other people believe you either have or don’t. The object of the exercise is to understand better your own self-awareness, as well as understand how others see you, and what elements of facade exist (things you think you exhibit but no-one else does). Most useful in a group situation. If you think of people you know with real impact–people who make a room stop still with their presence–you are probably dealing with those with Johari window’s wide open. Enough, perhaps, to drive a truck through. These are people who know who they are and how the world sees them. I was lucky enough to get 31 people to fill out my Johari (courtesy of Kevan.org). It is probably a larger number than is useful as you tend to pull every adjective. Nonetheless by weighting the response by the strength (and recency) of the relationships in questions I can probably pull out some guidance. This entry was written by Azeem, posted on September 3, 2008 at 11:50 pm, filed under Uncategorized and tagged Cognitive psychology, Interpersonal relationship, Johari window. Bookmark the permalink. Follow any comments here with the RSS feed for this post. Post a comment or leave a trackback: Trackback URL.